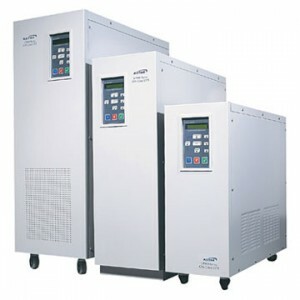 Uninterruptible Power Supplies provide protection for critical electronics and sensitive telecommunications systems. Smart Space Solutions, Inc. understands the importance of electrical power to your business and the necessity of redundant and back-up power solutions. We provide solutions for all sizes of Uninterruptible Power Supplies (UPS), even large, complex systems utilizing multiple UPS modules in parallel and/or isolated redundant configurations. Why do I need Uninterruptible Power Supplies? An Uninterruptible Power Supply (UPS) is a device that provides emergency power to a load when the main power source fails. Unlike an auxiliary power system or standby generator that allows power to go out first, a UPS provides near-instantaneous protection from input power interruptions by supplying energy stored in batteries, supercapacitors, or flywheels. The on-battery runtime of most uninterruptible power sources is relatively short (only a few minutes) but sufficient to start a standby power source or properly shut down the protected equipment. A UPS is typically used to protect hardware such as computers, data centers, telecommunication equipment or other electrical equipment where an unexpected power disruption could cause injuries, fatalities, serious business disruption or data loss. UPS units range in size from units designed to protect a single computer to large units powering entire data centers or buildings.